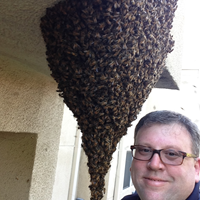 Cornerstone Pest Management is a Modesto based pest control company. We are dedicated to providing thorough and complete pest resolution. We will provide a service that is above and beyond your expectations. We value our relationships with customers and Cornerstone Pest Management is about doing things the right way. Our services are detailed, fast, and effective. We will provide relief for infestations of ants, spiders, beetles, roaches, rodents and other general pests that plague the Central Valley. We know that once we identify your indoor or outdoor pests, you want the problem taken care of. We are here for you and ready to take care of the insect problems. Cornerstone Pest Management has excellent service. Owner Stephen and all the technicians that have come out to our home have been very professional and effective in solving our problem. They are honest and they listen and explain clearly how they will treat your bug problem. They solved our problem 100% and we will continue to use them in the future. Would highly recommend them. Wow! Finally, a professional, friendly, EFFECTIVE, and do-what-they-say-when-they-say kind of company. I am so grateful for Cornerstone's ability to help me immediately tackle what was previously a night mare of a year long problem. I have worked with many types of residential contractors and pest control companies, so I know how this whole process can be quite frustrating at times. We are so glad to hear of your positive experience! Cornerstone does a wonderful job!! We are truly glad to hear that your service has been effective and timely. Your feedback is invaluable to us. Thank you for taking the time to share. Thank you so much for your wonderful review! It is definitely our mission to serve our customer's needs 100%. Your time and feedback mean a lot to us. This kind of feedback is music to our ears! Thanks so much for sharing! We are so glad to hear that your experience has been positive! It's an honor! Thanks! We are glad to hear that! We appreciate the positive feedback. We are so pleased to hear that you've had such a positive experience. That is truly our goal. Do not hesitate to keep us posted with any future concerns! We are glad to help. We are so pleased to hear your experience! We are happy to hear that your issues have been handled, and that all involved (pets, too) are happy! Thank you for your kind review! We are happy that your issues have been resolved completely. We so appreciate you taking time out of your day to share your experience! Thank you for your review! We are glad to hear that your experience has been positive. We appreciate your time! So far very happy. Only thing they got to close to my plants and a few of them died. Thank you for taking the time to review us. We appreciate your 5 star rating. However this is the first time we've heard about your plants dying. The materials we use have no adverse effects on plants they are designed that way. The only time you should be concerned about our products effecting your plants is during high temps where they could possibly magnify and burn. Please contact us so that we may rectify the situation as soon as possible. Stephen Rys came to my door talking about his pest control business. He was sincere, courteous and very confident of his ability to eliminate pests. I decided to switch over to his company and give local person a chance to prove he can serve better for better price. I have been happy with him and his company ever since. I live next to a big vacant field and I always had mice and rats problems but not any more. I'm happy that I switched to his company. I also like the fact he always call or email me to let me know when he will be serving my property. I recommend him to anyone looking for professional yet friendly service. Cornerstone has come out for non-scheduled visits when bees appeared in a swarm on our neighbor's tree. Stephen was great. They came out right away when I contacted them for a pest problem I thought we had. Stephen inspected our home and found that we didn't need to have our house sprayed. We greatly appreciated his honesty in saying that we didn't need the serve. We live in the country and asked if he could do preventative spraying which he did. Thanks for taking the time to review us. We really appreciate your continued business! I have been very happy with Cornerstone Pest Management. I especially appreciate the reminder call the day before so I have an opportunity to let them know if there has been any activity to report, and the accessibility in between services if needed. Thanks so much for your feedback! We appreciate your time, and we're glad that you are happy with your service. We have been very satisfied with the work, friendly service and price, Cornerstone Pest Management has provided. We feel confident in their integrity and have no complaints regarding any of their services. We greatly appreciate your response. Thank you! We enjoy serving others any way we can. Be in touch with any further needs. Thank you for your positive feedback! We take pride in serving our customers to the best of our ability. Thank you for the kind words. We are pleased you are happy with your service! Thank you for taking the time to review us. We greatly appreciate your positive feedback! We take pride in meeting our customer's needs the best way we can, and we have fun doing it! Thank you so much for your feedback! We appreciate your time, and we are so glad that you're happy with your service. We are so glad to hear of your positive experience. Thank you for taking the time to share! Our goal is to serve others to the best of our ability. We are so glad to hear that your pesky roach problem was resolved! Thank you for taking the time to share your positive experience.